Where to Order UV Spot Membership Card? 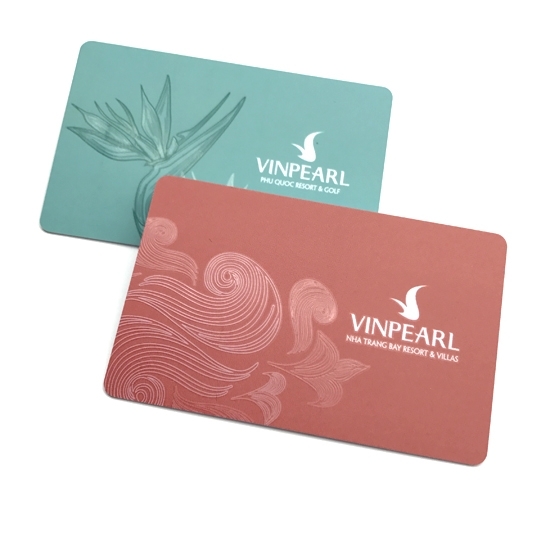 In nowadays,many service industry pay more attention to the service level,so they choose to make beautiful and unique membership cards,unique cards can bring more business opportunity.UV Spot card is one of the beautiful cards,with UV Spot effect,the text or pattern of the card surface is bright and convex, which makes the card surface more and more vivid. Besides,UV Spot card can also be make with many other crafts:4 color offset printing, magnetic stripe, embossing number, signature panel, photo, barcode, , thermal printing, gold/shiver color scratch-off, series number punch, hole punched, UV Printing etc. If you are interested,please contact us :Email:sales@mhgyjs.com.